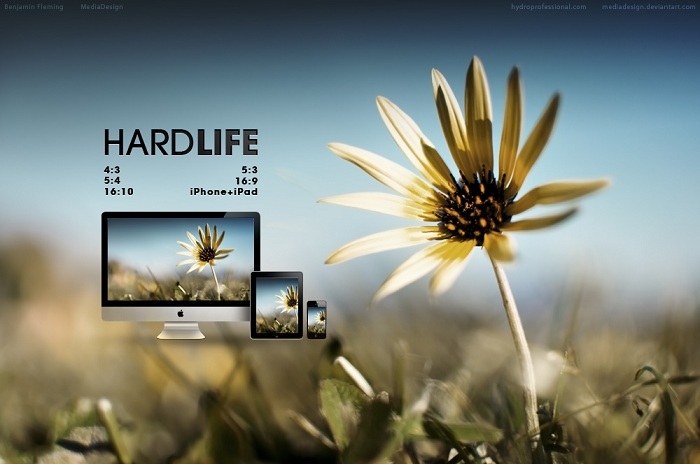 Simple Life and Hard Life Wallpaper set is created by mediadesign, taken with Nikon D90. This two wallpapers are free to use in all types of (including commercial) projects. All major resolutions are included. Simple Life is a ZIP download, the file is 5.8 MB in size. It is a ZIP download, the file is 5.2 MB in size. This Article Has Been Shared 6463 Times! Shelves Wallpapers Collection is a huge 59 rack style wallpaper collection to place your icons on desktop like iPad. Hanbok, Girl and Lotus Wallpaper is an excellent hand paint water color art on real watercolour paper. Available in Various ready made sizes. 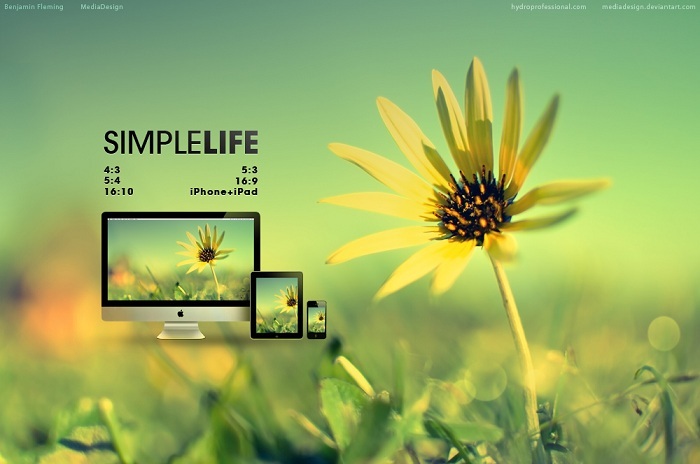 Cite this article as: Abhishek Ghosh, "Simple Life and Hard Life – Flower wallpaper in two tones," in The Customize Windows, September 30, 2011, April 21, 2019, https://thecustomizewindows.com/2011/09/simple-life-and-hard-life-flower-wallpaper-in-two-tones/.